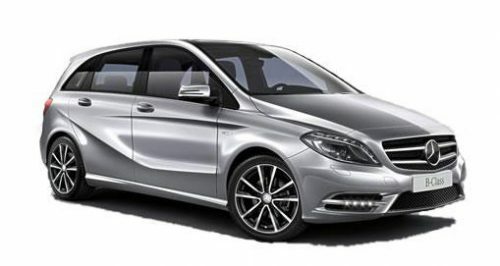 Mercedes-Benz B-Class PDF Workshop and Repair manuals, Wiring Diagrams, Parts Catalogue, Fault codes free download! Mercedes-Benz B-class – a series of compact cars of the German brand Mercedes-Benz, which appeared in German salons in March 2005. For the first time it was presented in 2005 at the Geneva Motor Show, and the concept car Vision B preceded the production car. It is manufactured in Rastatt. The car is somewhat larger than the A-class, while using its suspension and engines. As well as the A-class, the B-Class has a front-wheel drive, and since the second generation and the 4MATIC permanent all-wheel drive system. The European Committee for the conduct of independent crash tests EuroNCAP classifies the series as a class of small multipurpose vehicles (MPV). The first generation of the series with factory index W245 was presented in 2005 and was manufactured until 2011, when it was replaced by the second generation in the form of cars with the index W242 / W246. In addition to gasoline and diesel power units, the cars are equipped with hybrid (Hybrid / F-Cell), gas (NGT) and electric (E-Cell) engines. Currently, the serial high-performance modification from the division Mercedes-AMG is not presented for any generation of the B-class (there is only a conceptual version of the B55 AMG). As of December 20, 2013, sales of B-class cars reached a mark of 1 million units (since the launch in 2005). The first-generation B-class car in the body of the W245 was introduced in 2005. In the spring of the same year, it became available for purchase in the European market, and from autumn entered Canada. The series consisted of cars with front-wheel front-engine layout, with a sandwich-type floor construction and a parabolic rear suspension. Many solutions were borrowed from the A-class. Mercedes-Benz W245 has a two-section construction: one part for transmission and drive, the second for passengers and luggage. A comparatively large internal volume is achieved due to the height of the model and its layout. All models of the series were equipped with a large number of different passive automotive safety systems, such as the Electronic Stabilization Program (ESP) program, anti-lock braking system (ABS), traction control function, cornering lights, active lighting system and others. In the event of a frontal impact, the engine and transmission passed under the passenger compartment, without causing damage to people in the car. In 2008, Mercedes-Benz equipped the series with a “start-stop” system and an optional BlueEFFICIENCY package. In the model range appeared model B 170 NGT, capable of working both on gasoline and on liquefied gas. On January 30, 2011, in honor of the 125th anniversary of the receipt of a patent for the first car with a gasoline engine by Daimler AG, Carl Benz received a 3-car Mercedes-Benz B-class F-Cell around the world. Start the run gave Dieter Zetsche, German Chancellor Angela Merkel and Formula 1 racers Michael Schumacher, Nico Rosberg and David Coulthard. The route with a total length of 30,000 km lasted 125 days. The start was given in Stuttgart, after which the route was to the south via Paris, Barcelona, ​​Madrid, the USA, North America and Canada, Australia, China, Russia, Finland and other countries. Finish took place in June back to Stuttgart. The purpose of the motor rally was also the opportunity to prove the consistency of the technology of power plants on fuel cells.